Talking about what went wrong, learning from it and how trust is a prerequisite. 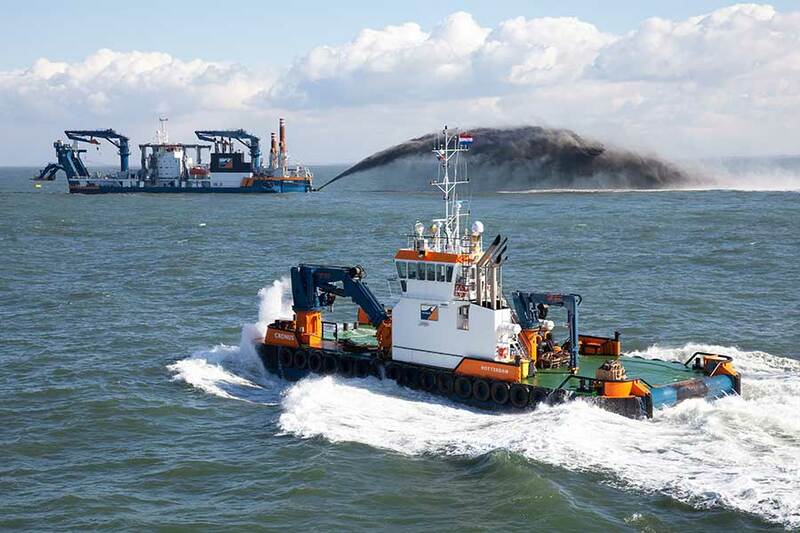 Van Oord (dredging, offshore oil and gas and offshore wind) has existed for 150 years and has been a strategic partner of Wärtsilä for five years. The first is a great achievement; the second was a deliberate choice. 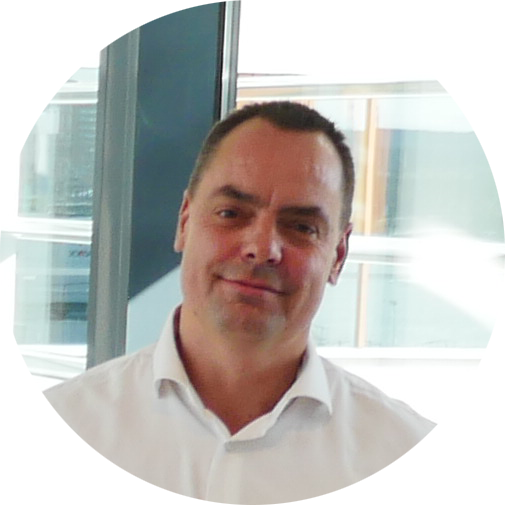 Jorn Bertens, category manager Ship Management Department at Van Oord, tells us more. Van Oord is a family business with a long history - this year we celebrate our 150th anniversary. Because we want to continue this history, we work with a long-term vision. For the Ship Management Department this is expressed in the words partnership, total life cycle focus, continuous improvement and sustainability; the latter not only in the sense of cleaner and more economical, but also long-term and permanent. Money flows are important for every company, but we look beyond the prices of individual parts or service pieces; we actively strive for sustainable relationships with our suppliers. Where does this need for sustainable partners come from? About five years ago, we critically reviewed our purchasing policy and costs, and concluded that things needed to change. We purchased from many different parties in a fragmented way. That was not efficient and not in line with our long-term vision of sustainable cooperation. We decided to opt for a much smaller group of suppliers, with whom we wanted to enter into strategic partnerships. In practice, we went from a few thousand to only twenty key suppliers, one of which is Wärtsilä. What characterises the cooperation with Wärtsilä? We look to the future together—we share that long-term vision. That gives us a completely different level of involvement. Close cooperation and well-coordinated processes shorten the lead time at the dock and improve the availability of ships. The indirect savings in the supply chain are achieved by implementing joint improvement processes. Transparency in the process makes the entire chain more efficient. Wärtsilä understands who we are, what we do and what we consider important. If we want to go down this path together, mutual trust is an important condition. You have to be open about what you come across along the way, how you fit it in, how you solve it and how you move forward, facing the future. Thanks to the in-house Wärtsilä team at Van Oord, we have direct lines of communication and a clear way of working. How did Van Oord and Wärtsilä organise this cooperation? We have jointly analysed and coordinated the processes at technical, operational and strategic levels. We have a continuous improvement process, and feedback from the workfloor is essential. Through close contact between our inspectors and the ‘in-house’ Wartsilä service coordinator, we can continuously generate feedback. Anything that goes wrong is discussed together, improved upon and recorded on a ‘lesson learned track sheet’. These improvements will be taken into account in the next work preparation. In this way, processes run better and better, and we can keep the focus on the long term instead of always ‘putting out fires’. Isn't that difficult, talking about what didn't go well? Perhaps, but that is a prerequisite for a strategic partnership to succeed. That's how we, and Wärtsilä, learn every day. It is nevertheless true that this requires an open relationship and mutual trust. That trust and openness are not self-evident. You need to invest in them together. How do you determine the most effective approach? Our greatest interest is of course that our vessels are optimally deployable and do not come to a standstill. Our teams work together with Wärtsilä to ensure that engines and propulsion systems continue to perform. For the last 5 years, we have had a parts & service contract for all Wärtsilä diesel engines and propulsion systems on board our fleet. For the cutter dredgers Artemis and Athena we have, since the new construction, a ‘power-by-the-hour’ contract. With both types of contract we have good experiences, and together we investigate where we can further optimise. For example, we are investigating whether we can provide more vessels with a power-by-the-hour contract, while Wärtsilä from Finland, together with our crew and Ship Management, keep an eye on the performance of the vessels to ensure optimum deployability. What have been the results of the strategic partnership so far? Thanks to the in-house Wärtsilä team at Van Oord, we have direct lines of communication and a clear way of working. 80% of the work preparations are done in advance by Wärtsilä, so we only have to manage smaller deviations. That saves a huge amount of time. We can easily predict when maintenance is required and which parts are needed, meaning that we have more favourable (contract) prices, and we need fewer spare parts. Consequently, we can focus on our core business. The deployability of our fleet increases and we are more cost-efficient. What is the major expense? If you look at the total costs of the current engines, about 2.5% of the costs are in the purchase of the engines, 7.5% in maintenance and 80% in fuel. Fuel reduction is one of the first things we have looked at together, and this is an important KPI: how can we reduce these costs while remaining fully operational? And how can we reduce CO2 emissions? We build new ships with dual fuel, which means they also run on LNG. We are gradually reducing the fuel consumption and emissions of older ships. What savings has Van Oord generated with its current diesel engines? Due to the continuous process improvements, we have seen a reduction in lead times of repairs, resulting in a lower cost per hour of operation, with increased efficiency. Wärtsilä is currently replacing a number of turbos in our fleet. We are testing this to see what the results are, by comparing an engine without the turbo upgrade and the same engine with the turbo upgrade. We see positive results, and we are making progress in reducing fuel consumption and emissions. How do you look back on five years of strategic partnership? I am proud that over the five years we have built up a great deal of mutual trust. We are constantly learning, and our processes are getting better and more efficient. There are still plenty of challenges for the future, including big data, further system integration, the internet of things, and connected devices. We will certainly have to develop further in these areas. It is becoming increasingly important to have the right people in the right place, with the right knowledge, the right attitude and the right vision. At Wärtsilä, we found the right click. We are very happy because we know how viscous processes can be without that ‘click’. It was new and challenging to approach a partner so openly and allow them to go behind the scenes of our company. The partnership is a success because together we can make progress and our operational performance is improving over time. This is the core of real strategic cooperation. We keep the focus where it belongs, namely on the long term and on our business objectives. Van Oord has been around for 150 years now, and the world is changing faster than ever. That is why we need this kind of partnership more than ever before. Close cooperation enables us to respond even faster to this changing world. I am proud of where we stand now, ready for another 150 years of Van Oord.